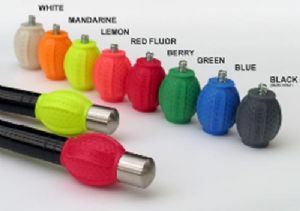 A rubber dampener from StringFlex the Flex Dampener certainly the one for archers that like to colour match or brighten up the shooting line and they work well to dapnening down longrod vibrations. Suitable for fitting to longrods and Short Rods 1/4" male and female thread. Does not include end weight.